2010 has seen a lot of impressive hi-tech gear releases, but as the year draws to a close, it's Google's translate service that's fast becoming the internet's most talked-about music making tool. 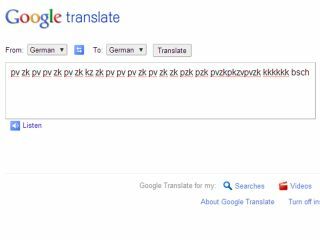 This bizarre side-use of Google translate was discovered by a Reddit user by the name of harrichr and word of it is spreading fast. A video by chulini that remixes the beatboxing with YouTube clips is already doing the rounds. We're sure it won't be the last.